KABUL - A devastating Taliban attack over the weekend on an Afghan army outpost in southern Helmand province killed 26 soldiers and seven policemen, a provincial official said Monday - casualties the country's defence ministry has refused to disclose. Separately, the United Nations said Monday that a NATO airstrike over the weekend in northern Kunduz province killed 13 civilians, including 10 children. NATO did not comment on the strike and it was not immediately clear if it was related to fighting Friday on the outskirts of the city of Kunduz, the provincial capital, in which two U.S. soldiers were killed. 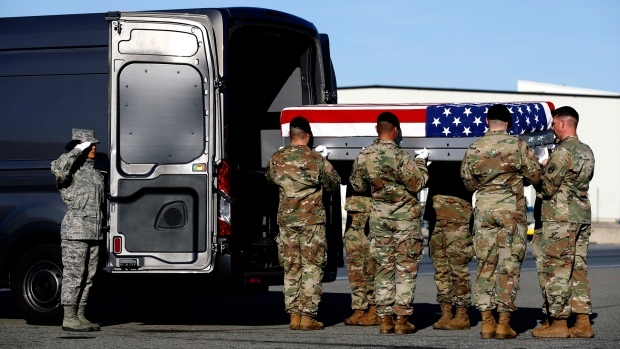 The attacks - and the fact they were not reported by the embattled Afghan government - underscore the challenges in efforts to resolve Afghanistan's 17-year war, America's longest. The Taliban stage near-daily attacks on Afghan forces, inflicting staggering casualties, even as they hold peace talks with the United States. Earlier this month, Washington's special envoy Zalmay Khalilzad and the Taliban held a 13-day round of peace talks in Qatar, where the Taliban have an office. The next round of talks is expected within the coming weeks. The talks have sidelined Afghan President Ashraf Ghani's government. Also, Khalilzad has been pressing the Taliban to declare a cease-fire, something the insurgents have refused to do.